The International Tap Association is an organization established in 1987 to promote the understanding, preservation, and development of tap dancing as an art form. Activities include educating the general public about tap dancing, creating new tap dancing performance venues and touring circuits, preserving the history of tap dancing, and uniting tap dancers and tap dancing enthusiasts. 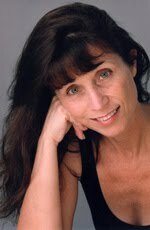 Weldome to Kathie Fry's new Tap Dancing Resources Blog!